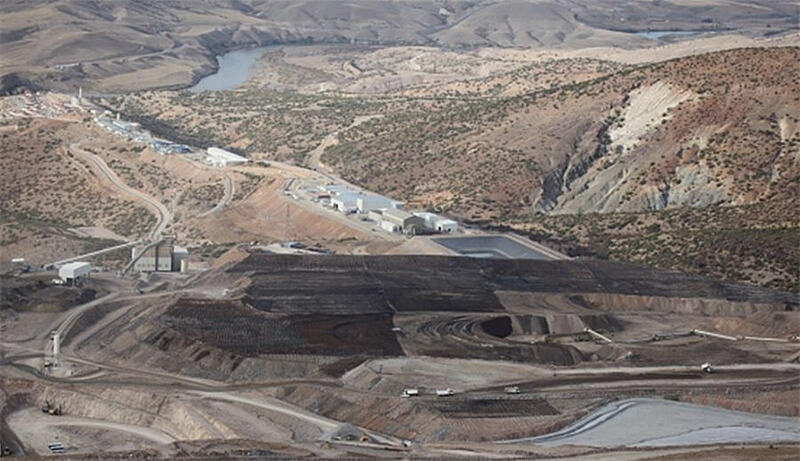 Alacer Gold (TSX: ASR; US-OTC: ALIAF) has tabled a maiden resource for its Ardich gold deposit, located 6 km northeast of its 80% owned Copler gold mine in east-central Turkey. The current resource is within areas 80% owned by Alacer. Ardich contains 6.92 million measured and indicated tonnes grading 1.32 grams gold for 294,000 oz. gold. It also contains 2.2 million inferred tonnes at 1.2 grams gold for 85,000 oz. gold. Recent drill highlights include 48.5 metres grading 2.69 grams gold from 60 metres downhole and 42.5 metres grading 2.55 grams gold from 31 metres downhole. The company based its resource on more than 9,000 metres in the first 55 holes it drilled at Ardich before the Oct. 1, 2018 resource cut-off date. The company has now drilled a total 42 holes at Ardich. The company believes the resource will grow when it incorporates the additional drill data into the resource. The deposit sits adjacent to the Copler mine’s processing facility. The company is waiting for permits that will allow step out drilling to the east and south of the current resource. It’s also begun its environmental impact study. At the same time, the company is considering options for expanding its oxide processing capacity at Alacer. It intends to complete a feasibility study in 2019 for a 20 million tonne incremental expansion of the current Copler heap leach pad. Alacer will continue drilling Ardich into 2019. Shares of Alacer Gold are currently trading at $2.13 with a 52-week range of $1.97 to $2.97. The company has a $625 million market capitalization.